You’ve heard all the theory of Account-Based Sales and you’re sold. But putting it into practice is a whole new ballgame. You have to wean your sales team off their high-quantity, low-quality diet of leads onto sustained dialogues with targeted individuals. It’s a challenge, but sales teams love challenges, and this one comes with the reward they like the most: more revenue and more growth. To complete this challenge, your sales team members need to understand the three basic tenets of Account-Based Sales and use the right tools in the right way to cultivate these new skills. These three principles underpin account-based sales. You have to understand your prospect. You have to engage them on their terms. You have to measure the outcome so you can learn. Let’s dive into each of these a little deeper, along with some tech that helps you put each principle into practice. This is the first and most fundamental principle you have to master. The emphasis on research is what makes ABS different from other sales initiatives. This is why we dedicated two previous posts to a research framework that gives you the best data on target accounts and the leads therein. Firmographic data—the “accounts” in account-based sales are companies, not individuals. You are targeting entire companies so you need to know as much about them, and all your other prospective customers, as possible. This includes (but isn’t limited to) industry, company size, funding, and revenue. Demographic data —though you are targeting companies, a company is nothing more than a collection of people driven by a common cause. Your salespeople have to understand the individuals in each company, their roles, and the personal motivations that drive them. You have to remember this is an ongoing process. The data on company size or funding shouldn’t be seen as static. A company may be currently too small for your sales team to chase, but that doesn’t mean that they’ll still be the same size in 6 months or a year. You need to constantly stay on top of growth in the industry. We’re hardly going to say start your ABS stack with someone else! But there is a reason we built Mattermark, and Account-Based Sales encompasses that mission. You need great data to do great business. You can’t even start account-based sales if you don’t have access to data about your target accounts. Everything starts from this data. Mattermark gives you access to both the firmographic understanding and demographic understanding you need to define the right prospects for you. If you have a list of either current successful customers or a list of attributes that correlate with high-value customers, you can plug that data into Mattermark to find similar prospects from among thousands. The Mattermark Growth Score is how we quantify the current success of a company. It takes into consideration growth both internally (such as employee growth or revenue growth), but also how much attention the company is getting from the outside world, quantified through web traffic and social information. Sorting by Growth Score automagically creates a list of high-growth prospects that are within your ideal customer profile parameters. That’s it. What could be days and days of research for Sales Development Reps is done in seconds. Your product. 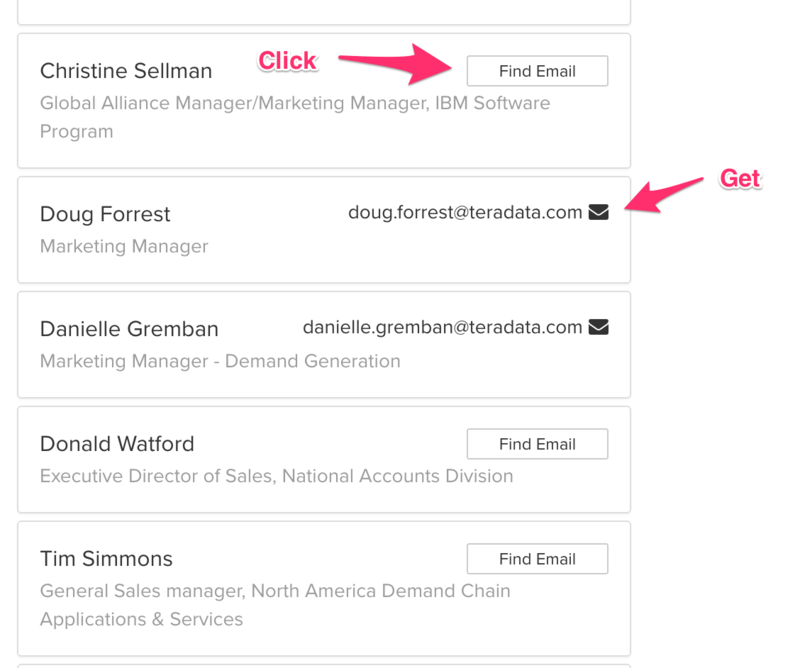 If you have a CRM, you’ll want to talk to sales ops and sales managers. If you have an HR tool, you’ll want to discover who the people in that department are. The company size. If your ICP is for +1,000 employee companies, you aren’t going to email the CEO first. You will approach him last during sign-off. But if it’s a 50-person company, the CEO might still be heavily involved in the entire decision. As you also have their role and seniority, you can (and should) personalize the reach out to each individual. For Doug, you can talk about the benefits from an overall marketing perspective, whereas with Danielle, you can drill down into how awesome you are for demand generation. 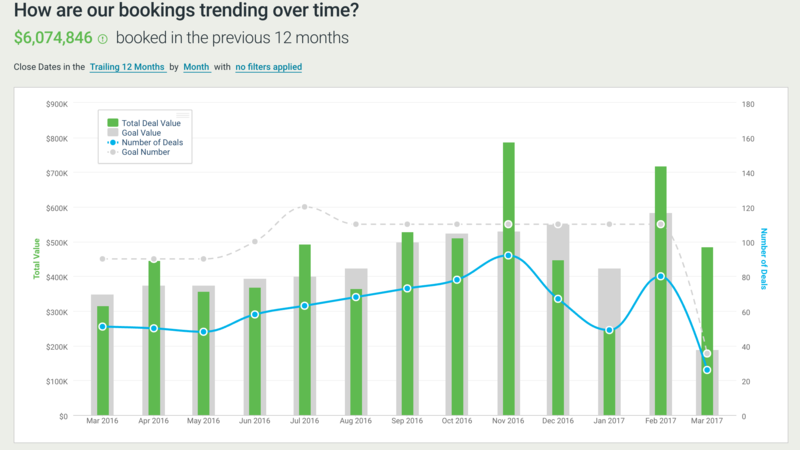 Tech for the next step: Score your leads with Infer. Once you have the data, you then need to score your leads to determine which accounts to prioritize. You can do this manually within Salesforce or another CRM. With lead scoring, you assign a score to each positive and negative trait companies and individuals can have. For instance, you might have a “+1” score for companies with >1,000 employees, “+2” for companies with a growth score over 1,000, and a “-1” score for companies with a negative growth score. You can then add up the score and set a threshold for when a lead is qualified. It is only at that point that the information gets routed to an account executive. Predictive lead scoring tools such as Infer take this a set further. They allow you to use multiple indicators in your lead scoring to find the right customers for you. They then constantly update with information about your successful customers to predict who out of your current leads will be the next best target. This is the most wide-ranging principle, yet the reason that Account-Based Sales exists in the first place. It has to be on your prospect’s terms. A transition to Account-Based Sales puts the prospective customer first. You aren’t trying to push your product. Instead, you’re learning their needs. This is the springboard to educate on how your product can potentially help. It has to be an ongoing conversation. High-value buying cycles are long. It will take time to learn their needs, and you have to be patient while they learn about you. It is akin to a hyper-personalized drip campaign. Once you are in the discussion you can feed them content and information that helps them first and pushes your product second. It has to embrace the “consensus sale”. There is now an average of 5.4 people involved in every buying decision. You have to talk to each and every one of these individuals. Each person will have a different motivation and each needs to be made a success through the investment in your product. But they have to come together and finally agree that you are what’s best for them and the company. There are an ever-increasing number of sales tools and CRM that are starting to put Account-Based Sales at the front of their product offering. Pardot, Marketo, Eloqua can all come into this engagement category. This is where you are going to be spending a lot of your time and funneling all your data, so it’s important to get the choice of tool right. We’ve chosen to highlight PersistIQ, because it easily allows you to do the one thing that is critical for engagement: coordinate. As we said, this isn’t an individual approach. Your entire team needs to have all information available. This means that your reps can swap in and out easily in customer conversations. This is what PersistIQ easily allows you to do. If one rep is talking to a “User” in the account and another to a “Manager” persona, they can see each others’ data. If the user says that they love the tool but the manager needs more information, this can be added as an Action or Campaign to the manager. The rep talking to the manager can then add this to their conversation. This article is about Account-Based Sales. But there has been more talk recently of Account-Based Marketing. This alignment between the two departments is critical to success. When you identify your target accounts, the first touches should be from your marketing department, softening them up with highly-focused content and campaigns to start to get the message across. 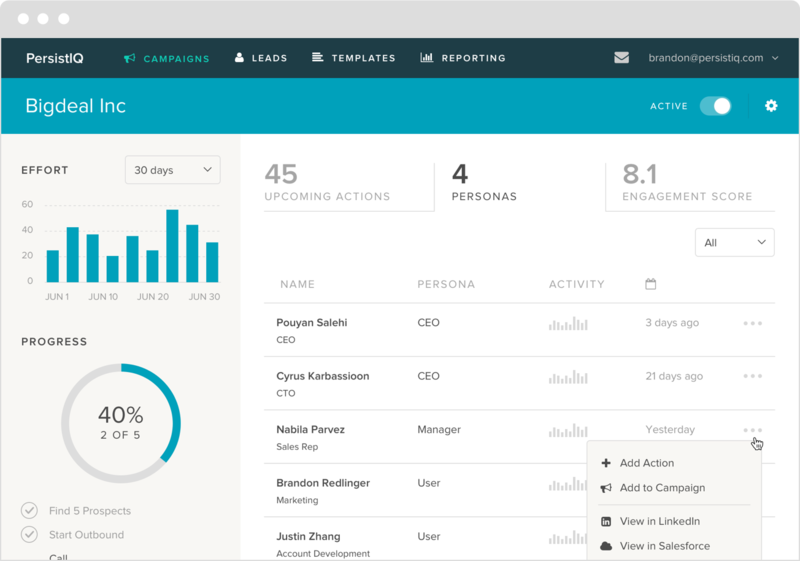 Marketing automation platform Campaign Monitor allows you to do exactly that. You can set up targeted, highly-customized campaigns to the individuals within your accounts. Over time you can then optimize these reach-outs to deliver the needed content ready for the sales team to move in for that final personal touch. The final part of Account-Based Sales is the analytical side. This approach to sales requires an investment of both time and money. You have to know whether it is paying off. The only way to do that is to track your sales analytics. 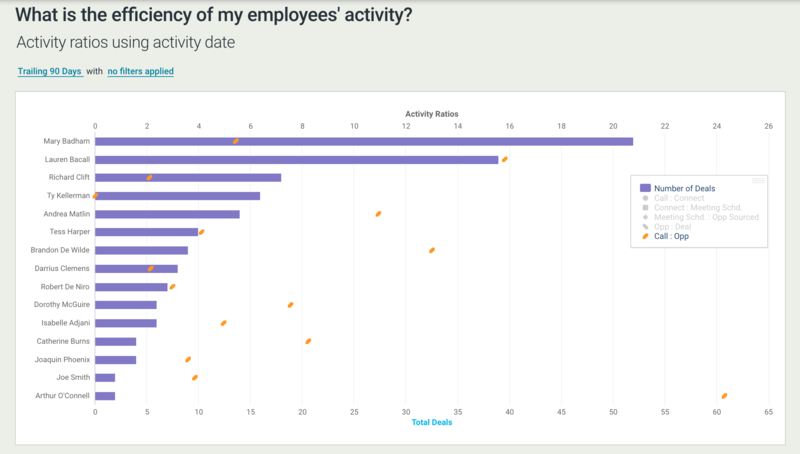 Activity metrics—these metrics allow you to improve your teams’ efficiency on a weekly, monthly, and quarterly cycle. Are your reps making enough calls? Sending enough emails? Are they scheduling meetings and closing deals? When you have these numbers, sales managers can start to understand their internal processes and optimize. Results—this is the ultimate measure of your success. Is your pipeline growing? Are you generating more revenue? Are you hitting your growth goals? This is what starts to take sales out of the realm of art and into a quantified science. Account-Based Sales is all about optimizing the sales process and making it more efficient. Sales analytics closes that loop and gives you the feedback your team needs to make themselves better. It’s hard to get ABS right on your first try. But over time you can make it a revenue-generating machine. If you transition to Account-Based Sales you should also consider hiring a dedicated Sales Operations role. They can make it their mission to help you optimize by reporting and analyzing your process from research to close. They can use a tool such as InsightSquared to do just that. You can track both activity metrics and results easily with InsightSquared, which sits on top of Salesforce and takes in all your sales data automatically. Here we can see that Mary Badham is crushing it. Closing deals with only a few calls per opportunity. On the other end of the scale is Arthur O’Connell. His Call:Opp ratio is atrocious. This can immediately show your sales leaders that something is wrong with Arthur’s telephone technique. He needs more coaching on this to bring his ratio down. The flip of this is that Mary might need a bigger challenge, and to move on to larger accounts. Here we can see that this company has about a 50/50 ratio in hitting their monthly goal. Worryingly, the number of deals the company is doing has dropped in the last few months. Sales leaders can take this as a leading indicator that they need more opportunities in the pipe to bring this number up to more easily hit their goal. Alternatively, they need to re-think their ICP to look for higher value deals to hit their target with a smaller quantity—the ideal for account-based sales. The sales process doesn’t end with a deal. Most revenue for top companies is made through renewals, upsell and cross-sell to existing customers. You need to measure not the metrics of your success, but also their success. Customer success engine Gainsight lets you measure customer health, making sure customers aren’t about to churn. Then you can reach out at the right time to help them with any issues. You can also manage the customer lifetime so that you are in place come renewal time. You need data. You need emails. You need metrics. But most of all you need a team that is behind this approach to sales. If your team still sees sales as a gung-ho, aggressive method, then even these great tools won’t save you. But in the hands of a sales team that is willing to take the long-term approach for higher rewards then these tools will release their, and your, full potential.